Daniela Matchael is an artist whose roots in realistic academic drawing are intrinsically translated into her powerful abstract approach to composition and color. Throughout her childhood and adolescence Daniela took drawing and painting lessons at different local artists’ studios in her hometown. In 1990 the artist enrolled at the renowned Brazilian fine arts school Escola Panamericana de Artes in the large city of Sao Paulo. While still attending art school, Daniela worked as an apprentice at her instructors’ private studios where, in 1991, she began to teach basic drawing and painting to students of all ages in spite of having not yet finished her formal fine arts education. After graduating, the artist proceeded to teach at private art schools and at her private studio from 1993 through 1995. At that time, still using her maiden name as her artistic persona (Dani Rangel), the artist was part of numerous group and solo exhibits at local venues and galleries. Matchael moved to the United States in 1997 where she went back to school seeking to further her studies in the Fine Arts. Then raising a family of her own, the artist pursued between 1998 and 2006 a career as a muralist and still painted on canvas. 2008 was a turning point in her life and career. The impending life changes instilled the artist with new dreams and possibilities. With new perspectives, the artist began to; as she describes it, furiously paint. 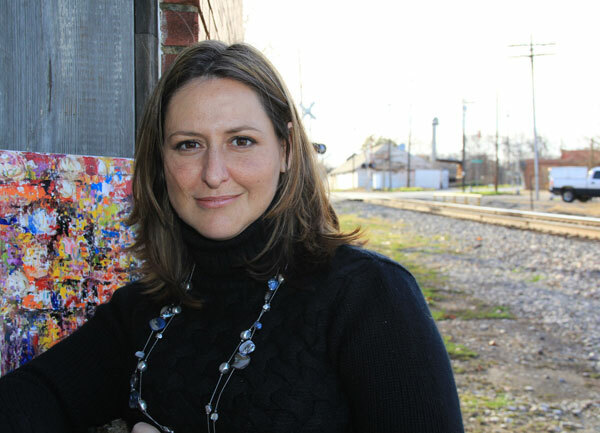 In 2010 Matchael and her family moved to East Texas where established her home studio. Having a studio enabled the artist to focus on producing a cohesive body of work. In 2012, after being part in a few exhibitions and being accepted into competitions, her work was discovered by the European market where she still holds exhibitions. Usually working on series of paintings that revolve around a common theme, Matchael’s work is recognized by the consistency of her superb use of color and the sense of a moving composition. Daniela’s current work can be found in private collections in the United States, France, Italy, Portugal, Australia, England and Brazil. She has been part of exhibits in the U. S., Canada, France, Germany, Italy, England and Brazil. Daniela Matchael is directly engaged in the development of her art and her art career and business. She is involved in various international artists’ groups and organizations engaged in the promotion of the arts. Zimbabwe Meets Texas Group Exhibition featuring Zimbabwean sculptures and East Texas Artists. Curator and Featured Artist. Show de Bola – Funded by Minister of Sports and Culture of Brazil in Celebration of the World Cup. Featured Artist – Curated by Leda Maria. Piracicaba, Sao Paulo, Rio de Janeiro, Brazil. 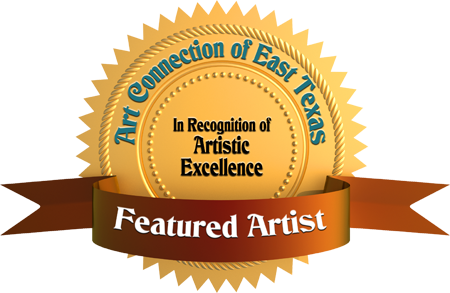 Our mission is to provide East Texas artists with a network to promote their art locally and internationally. All artists and art lovers welcome!